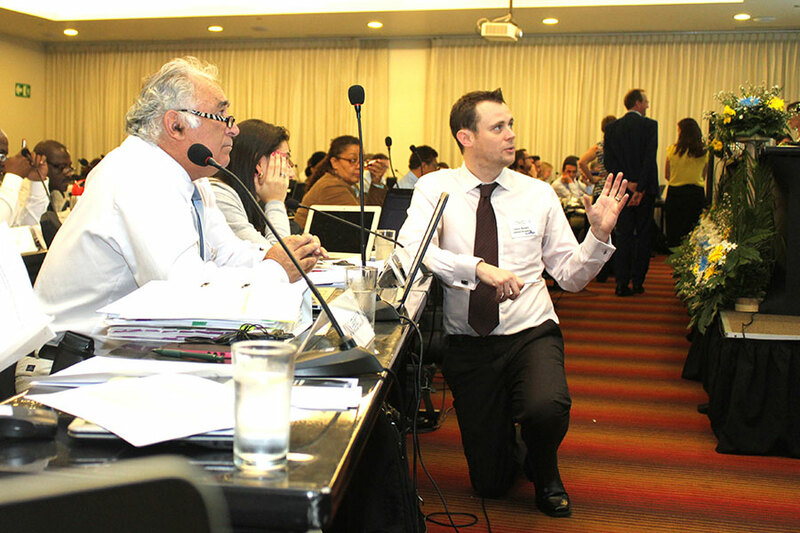 San José, Costa Rica, 22 February 2016– Close to 40 governments agreed this week to enhance protection for additional migratory shark and ray species and to a set of new conservation priorities. 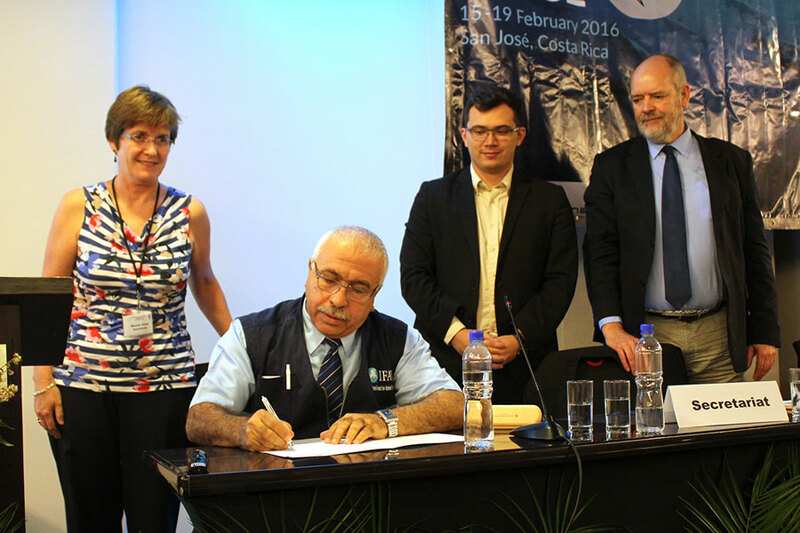 At the Second Meeting of the Signatories to the Memorandum of Understanding on the Conservation of Migratory Sharks (Sharks MOU), which ended in Costa Rica’s capital Friday, 39 countries and the European Union agreed to grant protection to an additional 22 species of sharks and rays,“The oceans' top predators help maintain the balance of marine ecosystems. Ensuring their survival is a global public interest that requires concerted, cooperative action by governments, fisheries, local communities, conservation organizations, scientists and the general public. 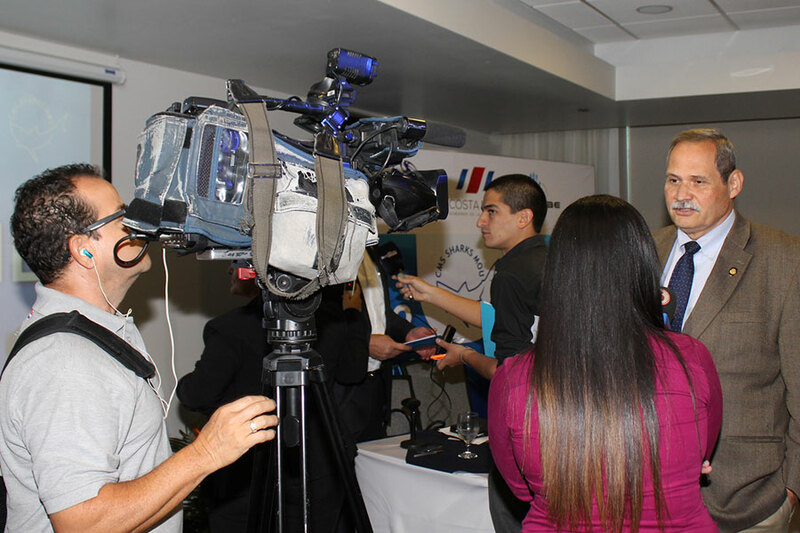 As the meeting in Costa Rica has confirmed, the CMS Sharks MOU is providing the framework for this essential collaboration”, said Bradnee Chambers, Executive Secretary of the Convention on the Conservation of Migratory Species of Wild Animals (CMS). 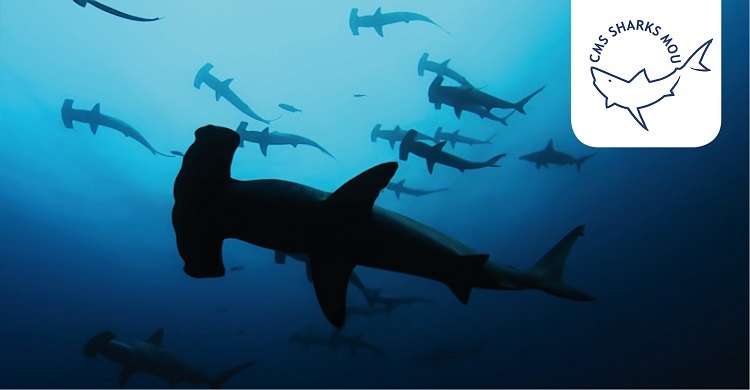 The 22 species listed by governments in Costa Rica, include five species of sawfish, three of thresher shark, nine species of mobula ray, the Reef Manta Ray, the Giant Manta Ray the Silky Shark, the Great Hammerhead and the Scalloped Hammerhead. This decision significantly increases the number of shark and ray species protected under the Sharks MOU, which now includes all species of the two most threatened groups – sawfishes and threshers. Sharks are highly vulnerable to overexploitation as they grow slowly, mature late and produce very few offspring. The rapid and largely unregulated increase in target fisheries and bycatch has depleted many populations of sharks and rays worldwide, with 100 million sharks estimated as being killed every year. According to the International Union for Conservation of Nature’s Red List criteria (IUCN Red List), as many as a quarter of the more than 1,000 known species of sharks, rays and closely related chimaera are in danger of extinction, and only 23 per cent of species are categorized as Least Concern - the lowest rate of all vertebrates. 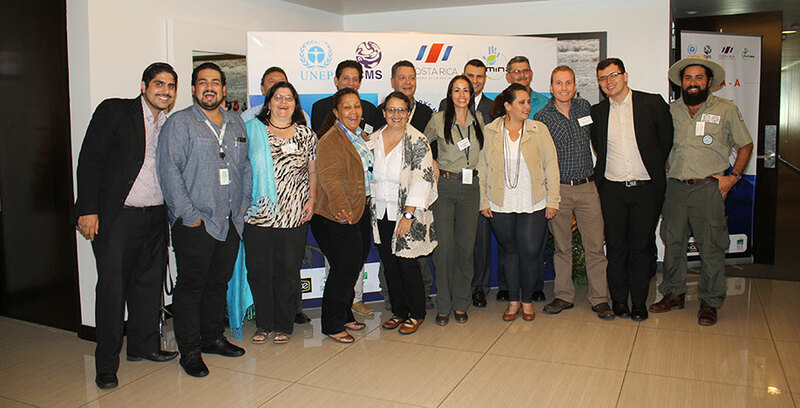 In a special address to the meeting earlier in the week, Costa Rican President, Luis Guillermo Solís made a strong appeal for sustainable fisheries management, saying that a balance needed to be found between conservation and sustainable use and between conservationists and fishing communities. In his speech, President Solís also underlined the importance of reliable data and research as a basis for good policy decisions on the national, regional and international level, highlighting the need to manage natural resources wisely. 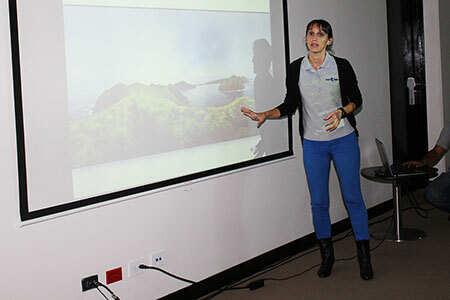 “When carefully managed, healthy shark and ray populations can support sustainable fisheries and ecotourism operations that provide food security and income for coastal communities, and products for export markets; taken together, these can be more valuable than fisheries alone”, said marine scientist and international shark expert Sarah Fowler in her address to the meeting. “Overfishing and habitat modification and loss have been shown to affect populations of sharks and rays. 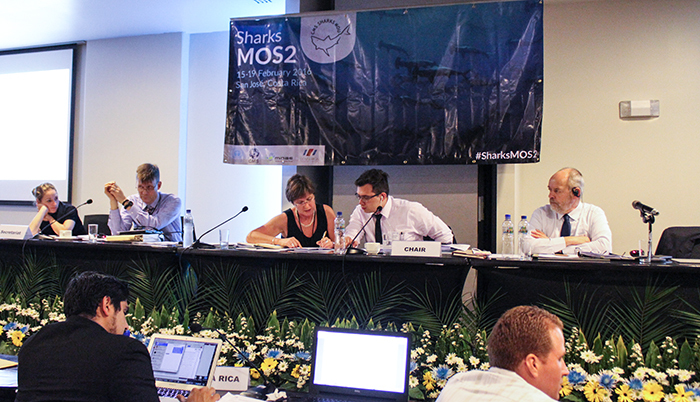 The agreements reached at the 2nd Meeting of the Sharks MOU call upon countries to increase their efforts in improving our understanding of migratory shark and ray populations”, said John Carlson, the Chair of the Advisory Committee to the Sharks MOU. Adoption of a revised Conservation Plan and Programme of Work for the next three years (2016-2018) aiming to strengthen research, monitoring and data collection to better understand shark populations and fisheries. 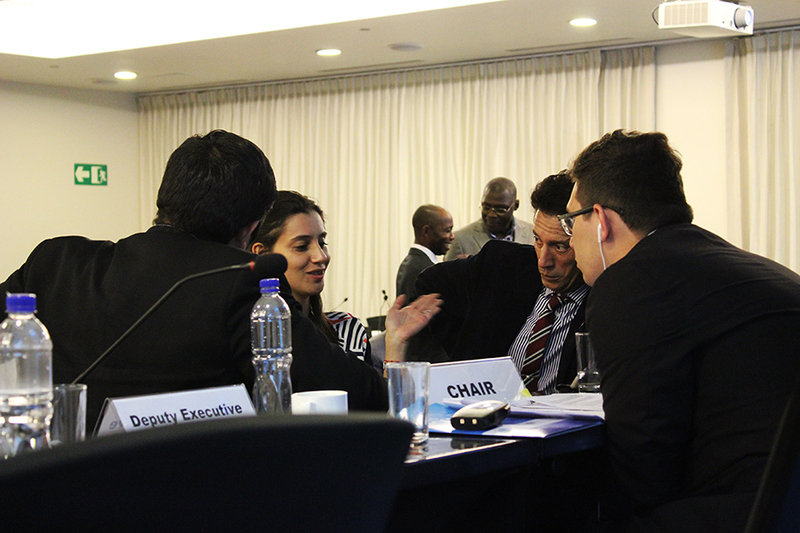 Governments will also strengthen their cooperation with international bodies to ensure the protection of critical shark habitats. Decision to establish the Conservation Working Group, composed of world-renowned experts on shark fisheries, population ecology, socio-economics, trade, traceability, governance, taxonomy, life history and geographic range of the species. 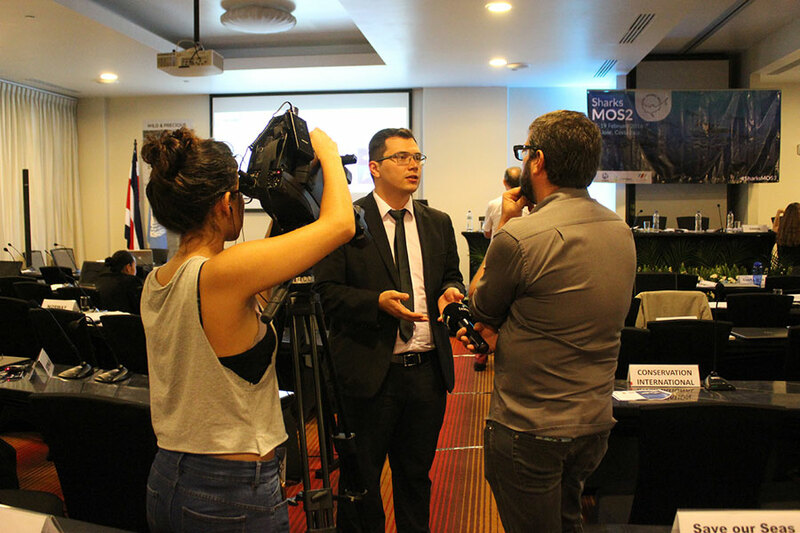 Within the next three years, the Working Group will develop a strategy for cooperation with fisheries-related bodies and organizations. 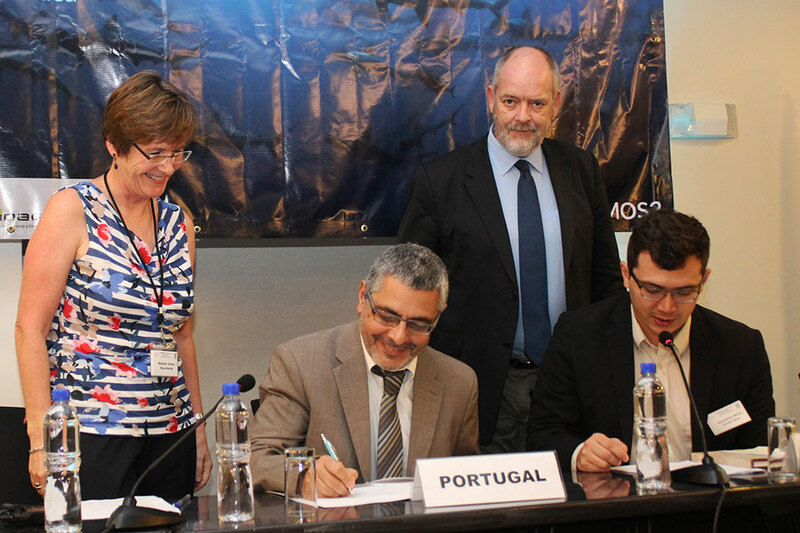 Portugal signed the Sharks MOU, increasing its membership to 40. 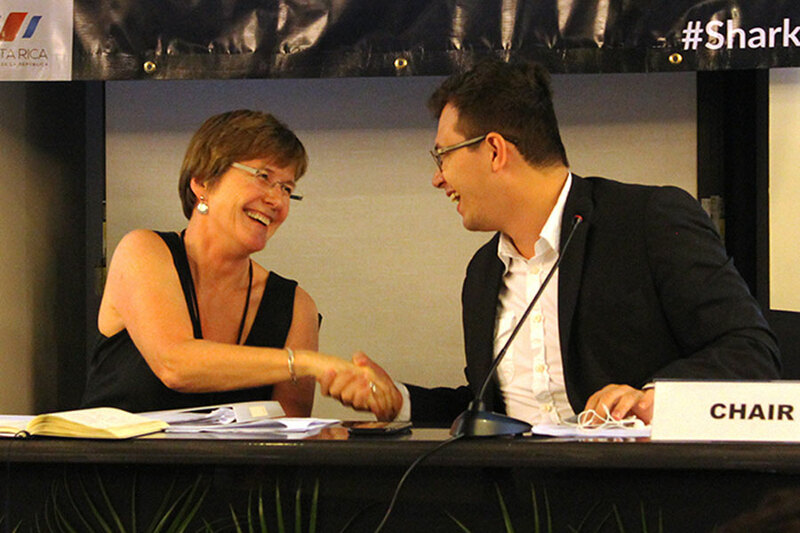 Seven nongovernmental organizations (NGOs), including the International Fund for Animal Welfare (IFAW), Project Aware, the Shark Trust, Sharks Advocates International, Manta Trust and the Wildlife Conservation Society (WCS) became official cooperating partners of the Sharks MOU. A group of international conservation organizations launched a new ten-year strategy outlining global priorities for conserving sharks and rays. The Memorandum of Understanding on the Conservation of Migratory Sharks (Sharks MOU) was signed in 2010 under the Convention on the Conservation of Migratory Species of Wild Animals (CMS). Through its Conservation Plan, the MOU aims to improve our understanding of migratory sharks and rays, ensure the sustainability of fisheries, protect critical habitats and migration corridors, increase public awareness and participation, and enhance international cooperation. Twenty-nine species of sharks and rays are now listed on its Annex. An environmental treaty under the aegis of the United Nations Environment Programme (UNEP), the Convention on the Conservation of Migratory Species of Wild Animals (CMS) provides a global platform for the conservation and sustainable use of migratory animals and their habitats. CMS brings together the States through which migratory animals pass, the Range States, and lays the legal foundation for internationally coordinated conservation measures throughout a migratory range. 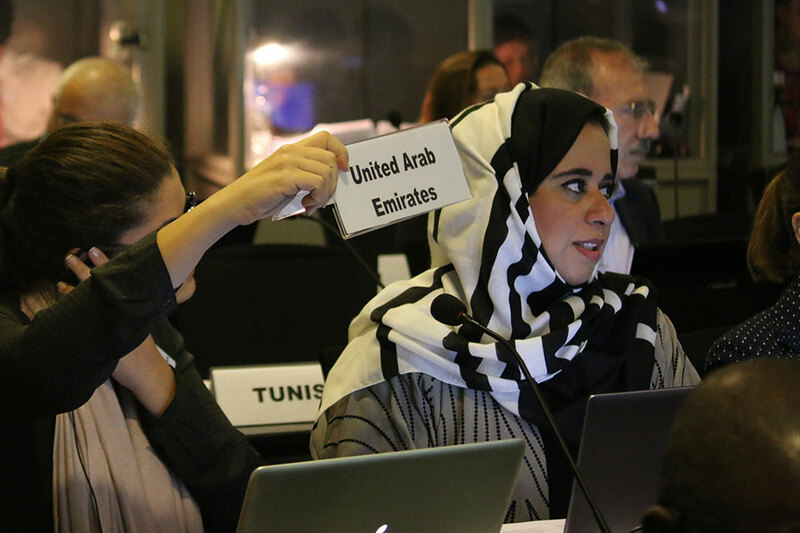 CMS is also known as the Bonn Convention – from the place where it was signed in 1979.